How will deaths by child abuse, neglect move Rauner's budget? Amierah Roberson, 19 months, died March 2014 from abusive head trauma. Her body was found in the woods after being set on fire. Her mother's boyfriend was charged. The number of Illinois children dying from abuse and neglect remains high even after the state’s child welfare agency had been involved with the child’s family, according to a new analysis from WBEZ and the Chicago Sun-Times. It comes as Illinois Governor Bruce Rauner has vowed to “transform” the state’s long-troubled Department of Children and Family Services. “They were just children. Our most vulnerable with their whole lives ahead. Lives cut short tragically, senselessly from abuse, neglect while in the care of Pat Quinn’s administration,” the voiceover narrator intoned. Rauner’s campaign used numbers analyzed by WBEZ and the Sun-Times to attack his opponent, then-Democratic incumbent Pat Quinn. Quinn called the ad “despicable,” and said it was a new low to say the governor is responsible for the deaths of children when the state intervenes with troubled families. Rauner won election, and now the responsibility he laid on Quinn—falls to Rauner himself. Child welfare is complicated and far-reaching. The Chicago Tribune has been documenting abuses at residential treatment centers for older youth. And there hasn’t been consistent leadership at DCFS in more than a year. Rauner just recently named George Sheldon from Florida to lead the agency. Child welfare advocates like Ben Wolf say if Rauner wants to transform DCFS, he has to be mindful of these issues in addition to things like foster care, mental health and juvenile detention. “We have to have the right priorities with money in order to get the right people,” said Wolf, an attorney with the American Civil Liberties Union who monitors DCFS through a court-ordered consent decree. Rauner is scheduled to propose how much money should go toward DCFS and other state agencies Wednesday. He faces a big budget hole for all of state government. A spokeswoman for the governor’s office said Rauner will propose a reasonable budget to turn around the agency, and that he’s expanding the role of the national Casey Family Programs in Illinois’ child welfare. As Rauner finishes his budget, we wanted to give him an up-to-date picture of what he faces with DCFS. WBEZ worked with the Sun-Times once again to look at child deaths. The most current information available is from last July, well before Rauner won election. We found 29 Illinois kids died from abuse or neglect after DCFS had investigated claims of problems at home or involving caretakers of those children. It’s a number that’s held steady over the last couple of years. We reviewed documents about children who died from neglect in situations like unsafe sleeping conditions. We found 10 instances of child abuse that resulted in death — again, even though state child welfare workers had already been involved with the family or caregiver. That’s down a little bit from previous years, but the cases are no less shocking. 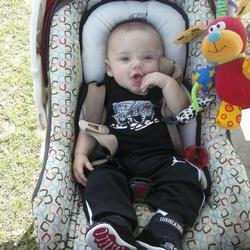 It’s tragedies like that of 2-year-old Jakarriah Patterson that Gov. Rauner will have to consider as he thinks about where to prioritize DCFS in the budget. Jakarriah’s father, Jeremiah Thompson, called 911 on March 19, 2014, from his home in south suburban Lansing, to report his daughter was not responsive. “Wake up, baby. Wake up,” Thompson is heard saying on the 911 call. A year before Jakarriah’s death, DCFS found Thompson to have caused bruising to Jakarriah’s face and buttocks and scratches to her back. Cook County prosecutors later charged Thompson in Jakarriah’s death. Police reports say after she died, Thompson was haunted by Jakarriah calling for him and he put toilet paper in his ears while in a holding cell. Thompson told the police he would sometimes hit Jakarriah for things like going into a room she wasn’t supposed to. Jakarriah had been living with her mother, Karla Patterson, but when Patterson was put out of her mother’s home in Wisconsin, she made the fateful decision to give Jakarriah to Thompson. There are 28 other cases we found in which DCFS had contact with the family or caretakers before the child died from abuse or neglect. Among them is that of 19-month-old Amierah Roberson. 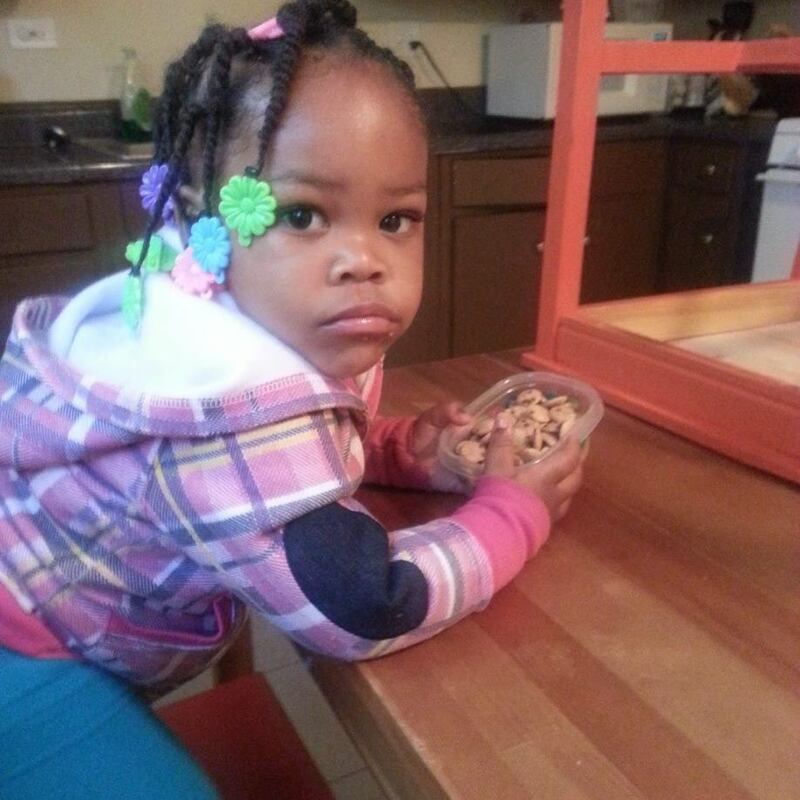 A daycare worker reported to DCFS that Amierah had bruises and scratches. DCFS was still investigating those claims a month later, when her mother’s boyfriend allegedly beat Amierah to death and then burned her body. There’s also 4-month-old Anterio Schlieper. The DCFS inspector general said the agency investigated his parents in Moline, Illinois, four times in two years and even requested an order of supervision for the kids in the house. But the Rock Island State’s Attorney’s office did not agree and the order wasn’t granted. Anterio was found unresponsive in the morning after his parents had taken him into their bed at night. They admitted to police they had drunk alcohol and smoked marijuana before going to sleep. Both pleaded guilty to charges related to Anterio’s death. “I think this is the time when the new governor has to decide if his priority is compassion toward our most powerless citizens or is reducing spending,” said Ben Wolf with the ACLU. Wolf said former Gov. Rod Blagojevich politicized DCFS about 10 years ago, and it’s been deteriorating ever since. Wolf said he’ll be watching Gov. Rauner’s budget recommendations for DCFS to see how Rauner intends to undo that history. Tony Arnold covers Illinois politics for WBEZ. Follow him @tonyjarnold. Chris Fusco and Becky Schlikerman are reporters for the Chicago Sun-Times. Follow them @fuscochris and @schlikerman.